Most issues surrounding the Georgia Strait stem from the region’s rapid population growth and the urbanization and development that have been associated with it. 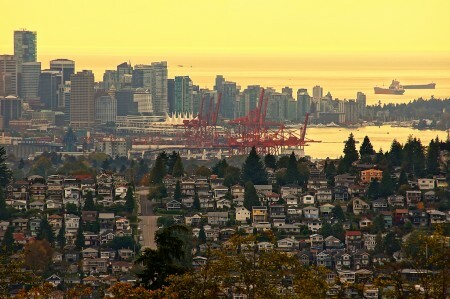 Although the region makes up approximately 2% of the area of the British Columbia, it contains two-thirds of its population. The issue is not just growth of populations, but the infrastructure that is built to serve the growing number of people living in one area. Though cities offer us many benefits, as currently designed, they also result in loss of greenspace, loss of natural water management systems and increased non-source pollution. Why has this happened? Competing interests, a lack of understanding of the impacts of infrastructure on the natural environment and human health, and a lack of coordinated planning processes across sectors have resulted in a loss of protection for the local freshwater systems and the marine environment. The good news is we are starting to make the changes needed to reduce the impacts of our urban centres on our water ways. Across BC, towns and cities are making changes, recognizing the access to green space and reduction of pollution are good for communities – their health and their economy Learn what one of our biggest cities is doing to green its practices and bring balance back to our urban environments.